This is the design on my nails at the moment, I took inspiration from an image that came up on my instagram feed and painted these yellow and white daisies on a black background using toothpicks to create the dots. 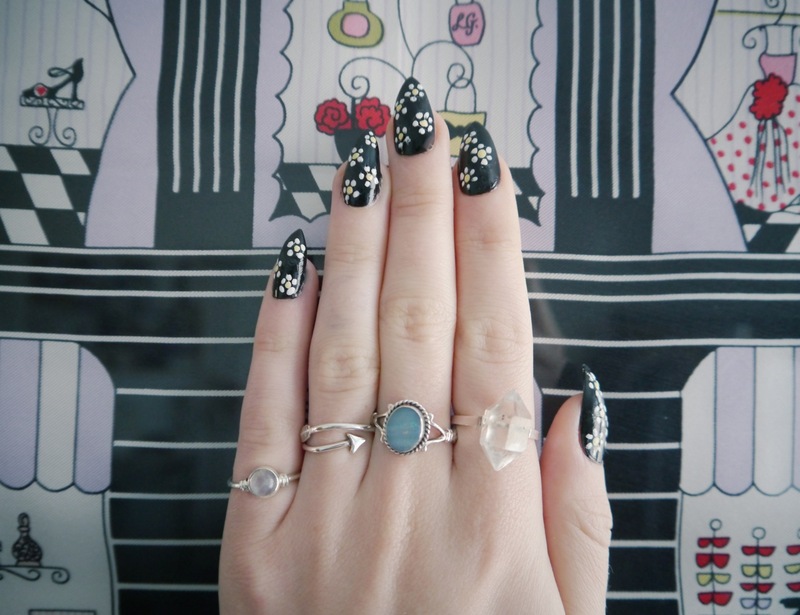 I really love the effect that this design gives and it really adds a certain something to all of my A/W outfits, my friend Sian and I shot some outfit photos yesterday featuring this nail art so hopefully they'll be up soon! What'd you think of this design? 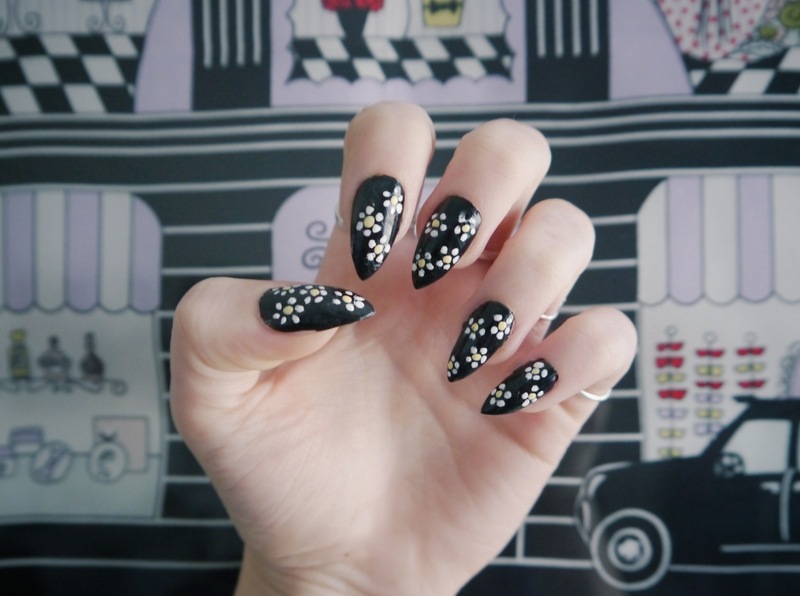 The nails look awesome! I'm also loving all of your rings!! LOVE this, thank you for sharing. so wish i was good at doing my nails, i am horrendous when it comes to painting (even single/solid colors). I LOVE this, it's so simple to achieve with a dotting tool and the endless amount of colours you can chose is amazing. A deep red as a base colour looks really rad too.